Are you looking for a Riverside, California real estate market outlook for 2016? If so, you’re in the right place. Below you will find MetroDepth’s assessment of current housing conditions and trends in Riverside, along with some predictions for 2016. The Riverside real estate market was hit especially hard by the housing crisis and economic recession. Home prices across the Inland Empire fell sharply beginning in 2008, and the downward spiral continued for several more years. But the Riverside housing market has recovered considerably since then. House values have been rising steadily in and around the city for the last couple of years. Most forecasts call for even more price gains in 2016. According to Zillow, home prices within the Riverside, CA housing market rose by around 5.7% between December 2014 and December 2015. This is based on their own proprietary method for measuring house values. The company also provided a forecast / prediction for the Riverside housing market in 2016. Their economists expect prices in the area to rise by around 5% over the next 12 months or so (through the end of 2016). So, as of right now, their outlook for the next 12 months is similar to what happened over the last 12 months. Zillow also called this market “very hot” in December, which is largely the result of limited supply and strong demand. In short, there are plenty of home buyers in the Riverside real estate market right now, but not enough homes to go around. This is pushing prices north, and it’s a trend that will likely continue in 2016. According to Realtor.com, the total number of homes listed for sale in the Riverside-San Bernardino-Ontario metro area rose by 3.8% over the last year or so (Nov. ’14 – Nov. ’15). This means home buyers have more homes to choose from today, compared to this time last year. Despite the increase, housing supply is still tight in the Riverside real estate market. During the first week of December, the real estate information company Trulia published a list of the top 10 housing markets to watch in 2016. According to the authors: “These markets exhibit strength in five key metrics: strong job growth over the past year, low vacancy rates, high affordability, more inbound home searches than outbound, and a large share of millennials.” This gives them strong potential for growth in 2016. The Riverside real estate market was included in their housing prediction for 2016. 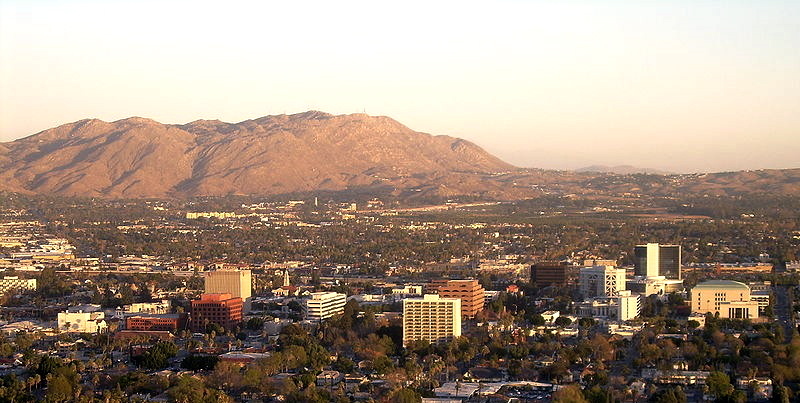 The Riverside-San Bernardino metro area showed up at #8 on the “hot” list. It was the only California city or metro area that made the top ten. Most predictions and forecasts for the Riverside housing market in 2016 are variations of the same theme. The general consensus is that home prices in the area will likely continue rising in 2016, as they did over the previous year, but at a slightly more modest pace. Disclaimer: This article offers Riverside real estate market predictions for 2016 based on third-party data and analysis. Such forward-looking statements are the equivalent of an educated guess, and therefore they should not be viewed as financial advice. In other words, you shouldn’t make any important financial decisions based solely on the information presented above. We make no claims or assertions about the Riverside, California housing market in 2016. Are you a real estate agent familiar with the Riverside real estate market? Do you have some insight to share about local housing conditions? If so, we’d love to hear from you. More importantly, our readers would love to hear from you. You can use the box below to share your insight. What’s your outlook or forecast for the Riverside housing market in 2016, based on your own experience? Feel free to include your contact information, if you like.